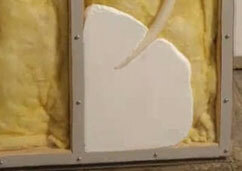 Tripolymer Inc. Injection Foam Insulation was one the first distributors of phenolic-based wall foam insulation. Made in the USA, Tripolymer Inc. offers a high-density foam that can be installed into home walls – even over old fiberglass or cellulose. Tripolymer Inc. Injection Foam Insulation increases comfort by regulating temperatures, saves money, and protects the environment by making homes energy efficient. Tripolymer Inc. Injection Foam Insulation is installed by certified and trained dealers throughout the United States. Tripolymer Inc. is a family-owned and operated business.